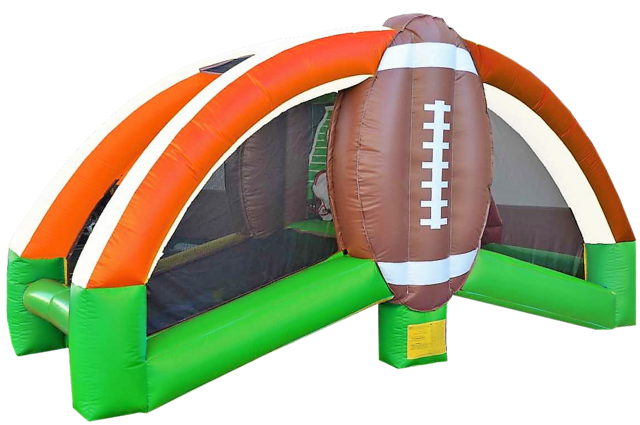 On this interactive inflatable game, each pleayer choose a side and play against each other to see who's the best quarterback! 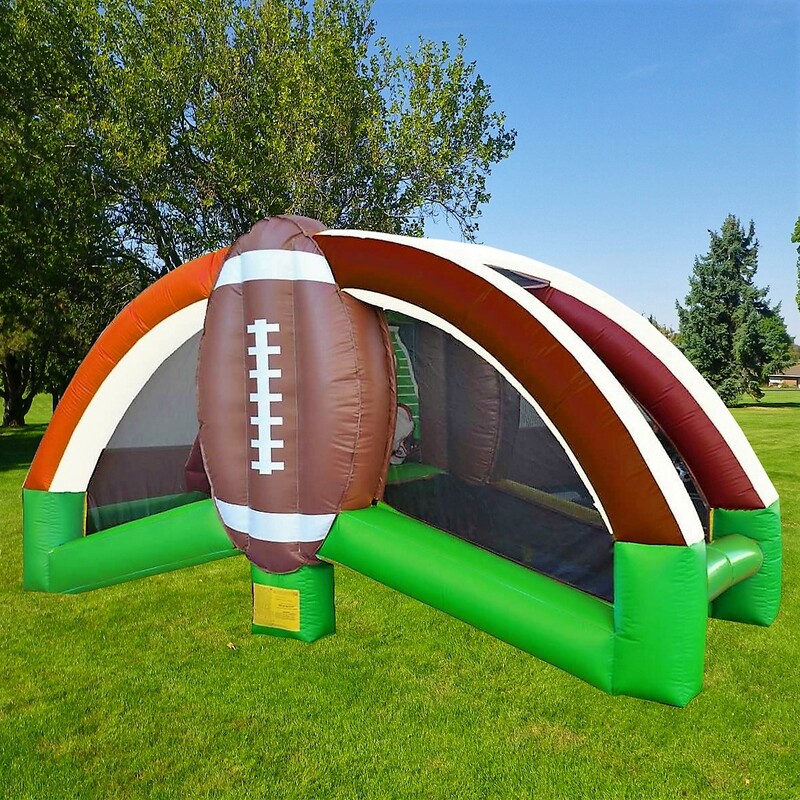 The goal of this football game is to pass all the balls on your side to the side of your opponent, whoever run out of balls first win the inflatable football challenge. Great game for a company picnic, church events and school field-day. 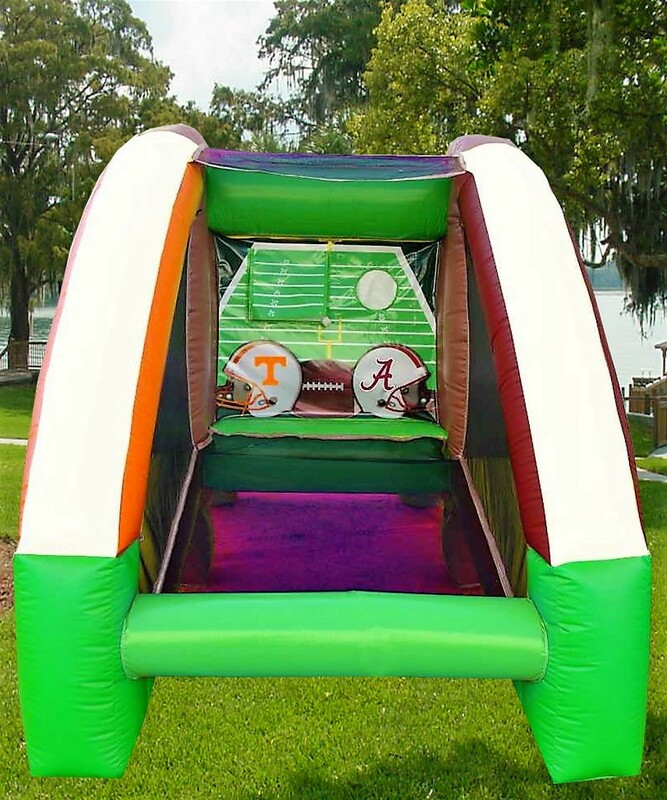 In addition to any of our obstacle courses, inflatable slides or any inflatable sport games will take your event to the next level!